Note from a supporter: The article was written by a conscious-minded political prisoner and former inmate of Kinross Correctional during all the events described in “Michigan prisoners rise up,” published in the November Bay View. Ahjamu was strip searched, cuffed, locked in leg irons and shipped to Oaks Correctional in Manistee Michigan and thrown in a cell in Administrative Segregation, where he stays 23 hours a day since the events unfolded at Kinross. To protest solitary confinement, perhaps the most dreaded form of torture in prison, 30,000 prisoners in California simultaneously went on hunger strike in 2013, winning an end to indefinite solitary confinement that had meant daily torture for many prisoners for decades. Here, Jerry Elster MCs a rally in support of that hunger strike, on July 13, 2013, five days after it started. The psychological warfare that is taking place in the prisons here in the United Snakes of Amerikkka is placing prisoners in the soul breaker (segregation) for confinement that equals decades. I refer to segregation being the soul breaker because that is what long term segregation is designed to do, break a man’s soul completely. Among the misconceptions about solitary confinement is that it’s used only for a few weeks or months. An estimated 80,000 Amerikan prisoners, many with no record of violence, are confined to a cell 23 hours a day in a cell about the size of two queen sized mattresses, with a single hour in an exercise cage that is similar to a dog’s cage. Some prisoners who are confined to segregation are not allowed visits or phone calls. Some prisoners have no TV or radio. Some prisoners never lay eyes on each other, and some go years without fresh air and sunlight. After nearly 44 years in solitary confinement, Albert Woodfox of the Angola 3 was freed from Angola Prison on his 69th birthday. Woodfox was the longest serving solitary confinement prisoner to be freed from prison after four decades. He had been in prison for 45 years, nearly 44 of them in solitary confinement. Hugo (Yogi) Lyon Pinell, a political prisoner with the San Quentin 6, was also condemned to solitary confinement for over four decades, nearly 46 years. He and Albert Woodfox did more time in solitary confinement than any prisoners in United States history. Political prisoner Russell Maroon Shoatz had spent 22 years in solitary confinement in the Pennsylvania Department of Corrections, from 1983 to Feb. 20, 2014, when he was released to general population. I refer to segregation being the soul breaker because that is what long term segregation is designed to do, break a man’s soul completely. Solitary confinement started in the United States as a morally progressive social experiment in the 1820s. Quakers wanted lawmakers to replace mutilations, amputations and the death penalty with rehabilitation. The hope was that long periods of introspection would help criminals repent. After British author Charles Dickens (1812-1870) toured a Pennsylvania prison in the 1840s, he described prolonged isolation as a slow and daily tampering with the mystery of the brain, immeasurably worse than any torture of the body. Some of his contemporaries shared that same view about long term segregation. Alexis De Tocqueville (1805-1859), a French statesman and author, reported from a prison in New York in the 1820s that it does not reform, it kills! Most prisons suspended the practice of long term segregation in the mid- to late 1800s, once it became clear the theory did not work. The U.S. Supreme Court punctuated that point in 1890, when it freed a Colorado man, recognizing the psychological harm isolation had caused him. Solitary confinement was largely unused for about a century, until October 1983, when, in separate incidents, prisoners killed two guards in one day at the U.S. Penitentiary in Marion, Illinois. The prison went into lockdown for the next 23 years, setting the model for dozens of state and federal supermax prisons, designed specifically for mass isolation. Long term solitary confinement is cruel and unusual punishment, due to the deprivation of basic human needs such as environmental stimulation and social interaction. For prison and staff safety, I am totally in agreement with short periods of confinement for the most violent prisoners. Solitary confinement is psychological warfare, because once a person is confined to segregation, it’s about how to deal with his own mind. Being isolated for a long period of time can drive one insane. To utilize their time, some prisoners in segregation will begin to pace their cells like a caged animal at a zoo. Some will pass their time by praying and meditating or talking to themselves, while others will read voraciously. Defiance can kill time in solitary. Some prisoners will kick walls or bang their cups against their doors. Some flood their cell by clogging their toilets with toilet paper, and some even break light bulbs and set their mattresses on fire! The psychological effects of long term confinement on the human brain are phenomenal, because the human brain needs social contact like our lungs need air! Zoo animals are being honored with fulfillment of these needs. The cruelty of caging them for long periods of time alone or in tight spaces is acknowledged. Federal guidelines for laboratory animals require more space be provided for them, along with sensory stimulation and environmental enrichment, than what is afforded prisoners in solitary confinement. I believe anyone who spends more than three years confined in solitary confinement will have some type of psychological effects – anti-social behavior – for the rest of their lives. In 2006, a bipartisan national task force convened by the Vera Institute for Justice called for ending long term solitary confinement. A report by the Commission on Safety and Abuse in American prisons cited studies showing that solitary confinement impairs brain functioning and causes psychosis and serious depression. Prison guards have attempted to use the argument that prisoners shouting to each other between cell blocks, across exercise cages and down drainpipes constitutes meaningful forms of social interaction during their confinement in long-term segregation. Such communication will never replace the basic need for social interaction with another human being and the heightening of one’s senses with the touch and sight of another human being. Babies are aware of the importance of the sense of touch in their social interaction with their mother; without it, they would suffer psychological trauma. When babies become aware that they are loved, it heightens other senses in them. People in the free world, through their socialization with each other in society, come to know who they are by interacting with each other. Amerika leads the world in placing prisoners in solitary confinement. Craig Haney, a psychologist and professor at the University of California in Santa Cruz, has spent his career studying mental health effects of solitary confinement. He describes the effects of long-term solitary confinement, including psychosis, self-mutilation and suicide. The problem is that most of the psychological damage done to prisoners in solitary confinement occurs invisibly in silence and stillness. The effects may not become fully apparent until the prisoner re-enters society; then society has a responsibility to address it promptly. 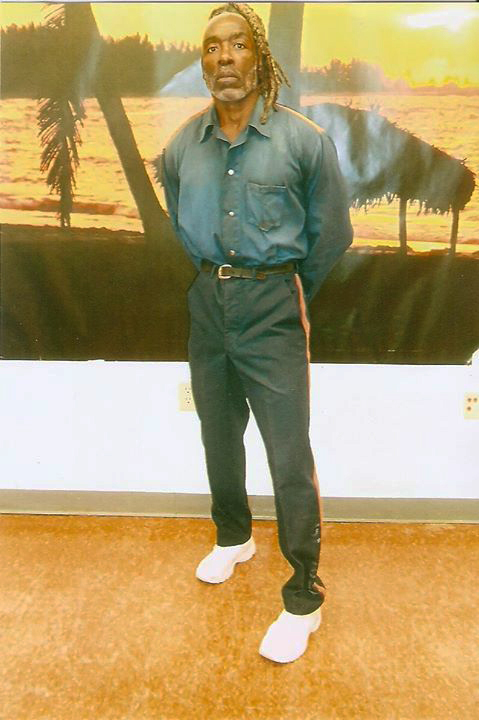 Send our brother some love and light: Ahjamu Baruti, 178539, Oaks Correctional Facility, 1500 Caberfee Hwy, Manistee, MI 49660. I am so sorry about what has happened to you and I wish there were more I could do to be helpful. I agree that isolation is incredibly inhumane and has no place in our system. The changes that are happening in some places are reason for hope, but there is great urgency for momentum to continue. I would encourage you to find ways to keep telling your story as much as you can. If there are legal groups that are willing to work with you pro bono to advocate for changes, I hope you will feel the self-worth that you need to take advantage of these opportunities. I recently read a heartbreaking story of about Mr. Anthony Hinton from Alabama who was released from death row after 30 years in prison, in likely very degrading conditions, for a crime that he never committed. Although he was exonerated, he has received no apology and no renumeration. He says he is not angry but is working hard to change the system for others. His story, like yours, makes me incredibly angry on his and your behalf. We should all be angry about a world that tolerates this kind of mistreatment. It is important to work to empathize even with people who have done harm, but it is also important to stand up for what is right. Working with lawyers can help you to do this. Lawyers are trained to complain in a way so that people actually pay attention to what it is that they are saying. It is not right that you are treated like this and it is not right that this other gentleman, and so many others like you both, are treated in this way. It is horrible. Your life matters as much as anyone's life matters. You have a right to vigorously advocate for your basic needs. I hope that when there are others who can assist in these efforts, that you will accept these offers, recognizing that you can pay it forward one day. I am so sorry to hear about your incredibly awful experiences–experiences that have also affected so many others as well. For whatever comfort it gives you, I care very much about what is happening to you and I know that many others do as well. The more you tell your story, the more people will have an opportunity to reflect on conditions that they may know little about but would care deeply about if given this information. I very much hope that things can get better for you. People in the free world, through their socialization with each other in society, come to know who they are by interacting with each other http://printcalendartemplates.com/september-2017-… I would encourage you to find ways to keep telling your story http://printcalendartemplates.com/october-2017-pr… as much as you can. If there are legal groups that are willing to work with you pro bono to advocate for changes http://printcalendartemplates.com/printable-calen… I hope you will feel the self-worth that you need to take advantage of these opportunities. The free word search puzzles free is now available online on my site for the free play of word search to play.